Photos, video as well as case details below are provided by Dr. Robert Jones’ clinic. "This patient got much more fullness in the temple and crown. 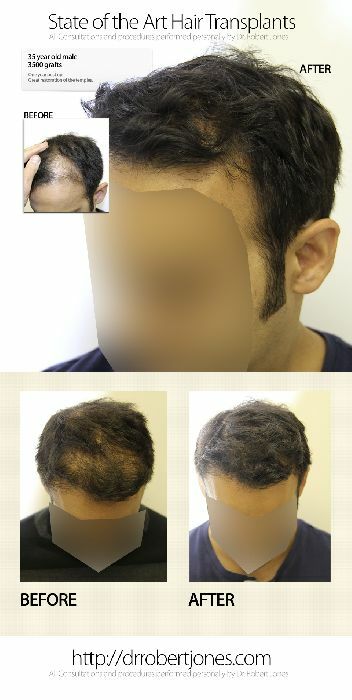 The video really shows the thickness that was achieved in spots that were previously almost hairless. It’s also worth noting that this case in relatively recent and people get great results as the hair comes in – sometimes much more quickly than anticipated. "